The Cemetery lies 5 kilometres south-west of Haifa on the Tel-Aviv highway. From the main Tel-Aviv highway No. 2, join road No. 4. 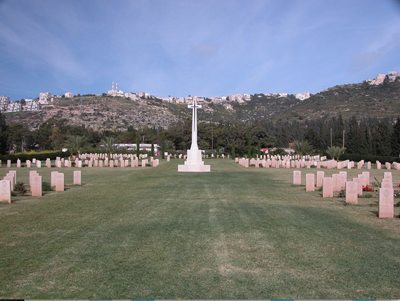 After 500 metres the cemetery is on the right hand side but it is hidden from view behind a wall. The entrance is the second gate along this wall. 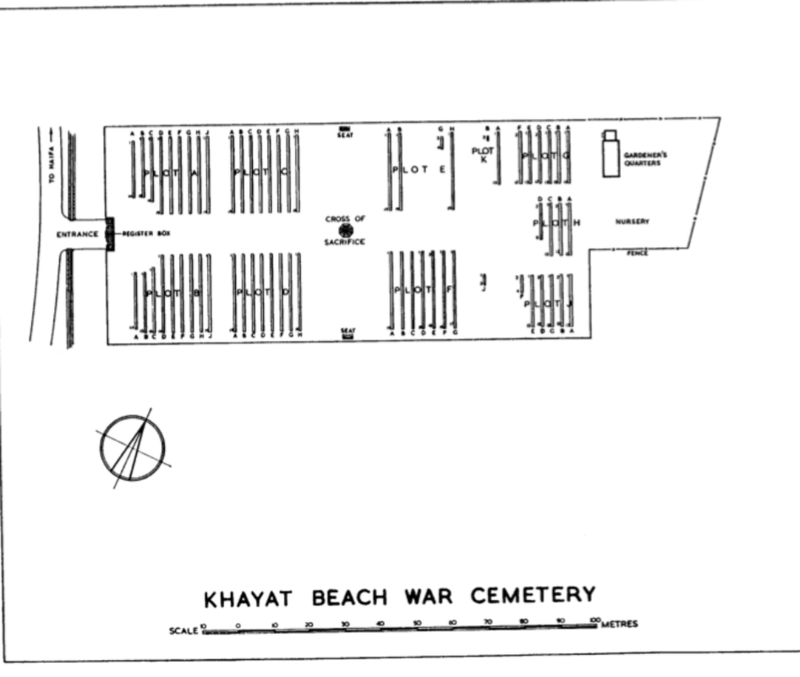 Parking is available inside the civil cemetery. 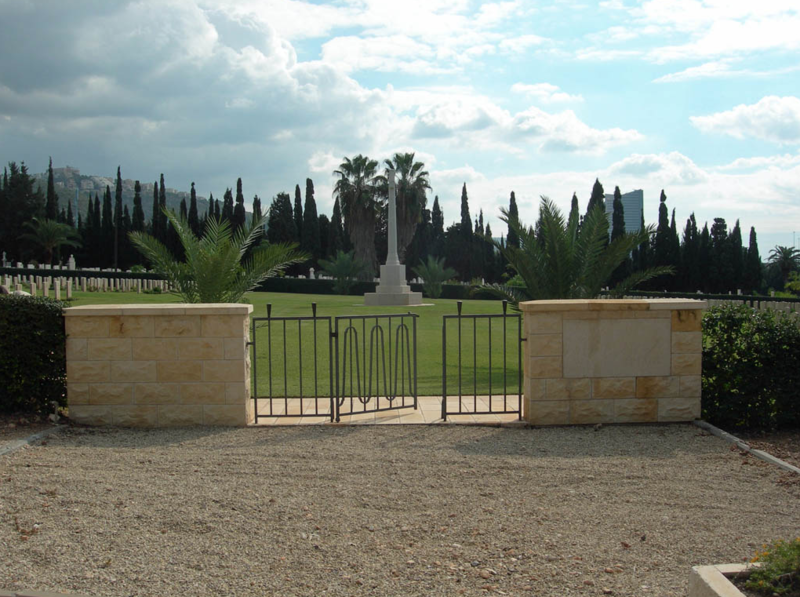 Once inside, the cemetery entrance is on the right hand side, 100 metres along. 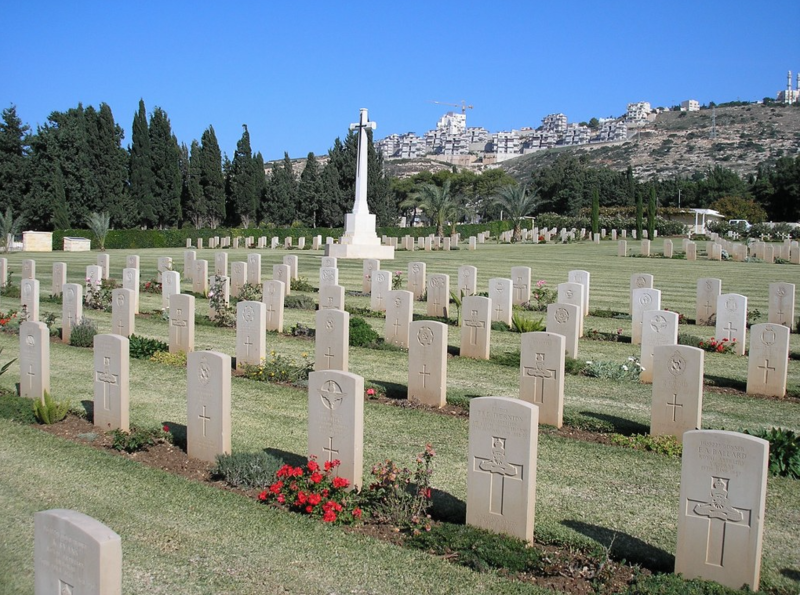 Haifa was of great strategic importance during the Second World War because of its deep water harbour and airfield. It was also the terminus of the railway line from Egypt and of the Kirkuk-Haifa oil pipeline. Haifa became one of the main supply bases and arms depots serving the Middle East forces and a large naval depot was established at Haifa Bay. 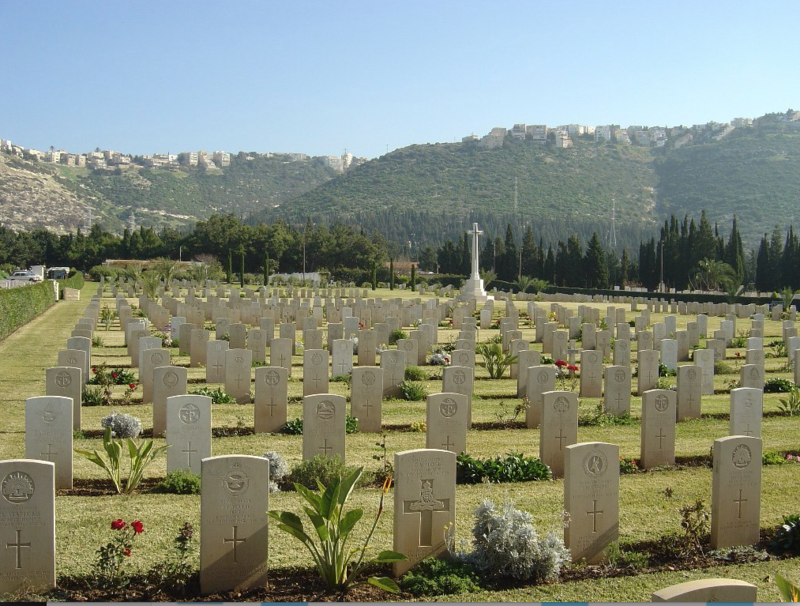 The cemetery was prepared in 1941 for the burial of service war dead in northern Palestine (now Israel) but graves were also brought in from Haifa (Sharon) British Civil Cemetery, from Mafrog Cemetery in the former Trans-Jordan and from Dafna Cemetery in Syria. 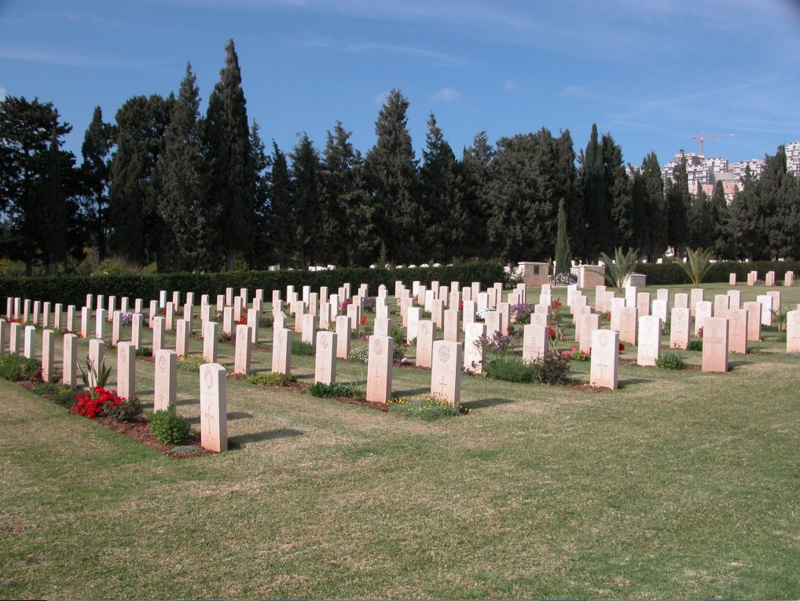 Among the Merchant Navy seamen buried in the cemetery are those who lost their lives when the SS 'Zealand' was torpedoed off the coast of Palestine on 28 June 1942. The cemetery now contains 691 Commonwealth burials of the Second World War, and 91 war graves of other nationalities. 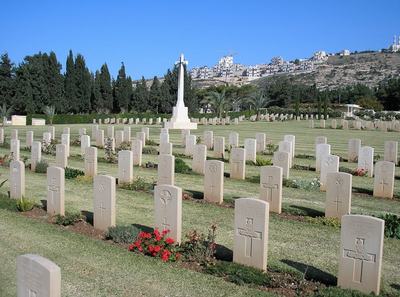 Among the 95 non-war burials in the cemetery are some of men of the Merchant Navy who died during the war, but whose deaths were not due to war service. 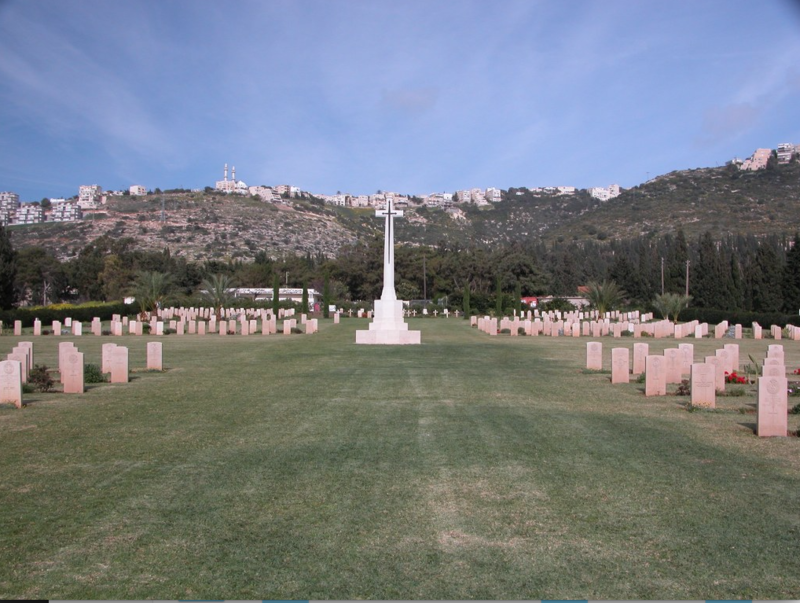 However, the majority of the non-war graves are of soldiers who died during disturbances preceding the end of the British Mandate in Palestine in May 1948. 6973652 Quartermaster Serjeant, Norman Harvey, V. C.
199 Rly. Workshop Coy. Royal Engineers, died 16th February 1942, aged 42. Plot A. A. 4. Son of Charles William and Mary Harvey; husband of Nora Osmond Harvey, of Newton-le-Willows, Lancashire. 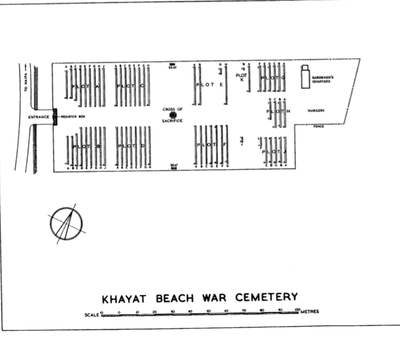 Citation: The following details are given in the London Gazette of 6th January 1919 :- For most conspicuous bravery and devotion to duty near Ingoyghem on the 25th October, 1918, when his battalion (the 1st Bn. Royal Inniskilling Fusiliers) was held up and suffered heavy casualties from enemy machine guns. On his own initiative he rushed forward and engaged the enemy single-handed, disposing of twenty enemy and capturing two guns. Later, when his company was checked by another enemy strong point, he again rushed forward alone and put the enemy to flight. Subsequently, after dark, he voluntarily carried out, single-handed, an important reconnaissance and gained valuable information. Pte. 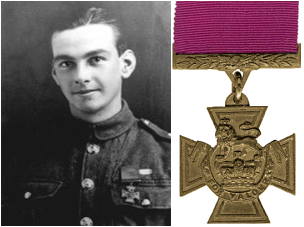 Harvey throughout the day displayed the greatest valour, and his several actions enabled the line to advance, saved many casualties, and inspired all.